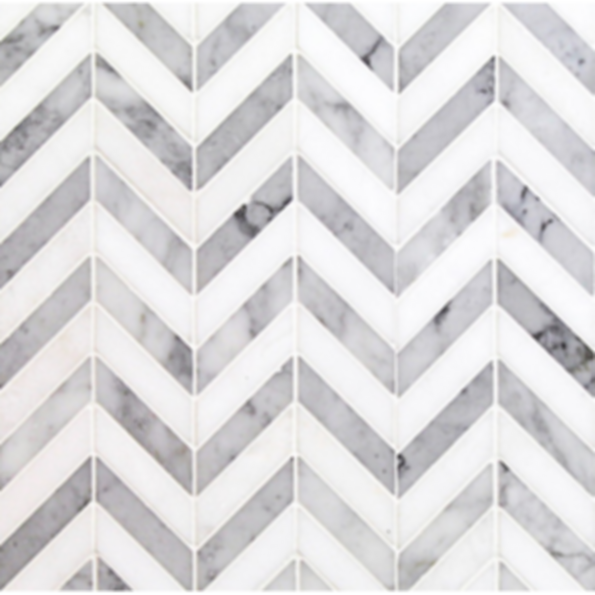 This chevron pattern with classic White Carrara & elegant Thassos polished marble mosaic will provide endless design possibilities, from contemporary to classic, and will serve as a great focal point to suit a variety of settings. The mesh backing not only simplifies installation, it also allows the tiles to be easily separated which adds to their design flexibility. The natural stone material will have a color variation. Bring some sophisticated flair into your home with this chic selection from our Talon Collection. Chip Size: 1" x 4.5"